Just4keepers are very very happy to say that we have signed US Pro goalkeeper Connor Sparrow who will be wearing J4K goalkeeper gloves this season. One of the biggest mistake keepers make (even the most experienced of keepers) is they type into google ‘goalkeeper gloves size 10’ when looking to buy their next pair of size 10 goalkeeping gloves. The problem with just typing this keeper glove keyword into google is the strong chances are the goalkeeper is not going to get the goalkeeper gloves size 10 that they actually wanted. However the keepers who sadly make this schoolboy error mistake, is the parents of a goalkeepers. Or a coach buying a goalkeeper glove for their club keeper. So why is typing goalkeeper gloves size 10 into a search engine potentially a huge mistake to make? This is because the gk glove companies or the websites selling the gk gloves, know how to market correctly online, so they will get on the first page of google for the keyword goalkeeper gloves size 10. And this is where they will get you! 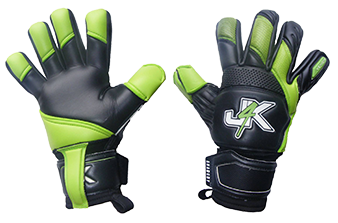 So this online website might have the best online marketing strategy to get onto first page of google and maybe the best keeping glove selling website, but this does not necessary mean they will have the correct goalkeeper glove for YOU!. When you are picking a glove, you must make sure this glove is the correct shaped glove for your hand. This is very very VERY important, I am going to repeat myself, ‘when you are picking a glove, you must make sure this glove is the correct shaped glove for your hand shape.’ This is so so important, so please do not forget this..